The parade happens on June 23rd, 2019. Closing date for parade applications is June 16th, 2019. The parade staging area is at Burnsview and Chalmers School. Burnsview School is located at 7658 112 Street. 112 Street will be closed to regular traffic northbound from 72 Ave to 84 Ave.
ALL PARADE VEHICLES AND FLOATS MUST ARRIVE NORTHBOUND FROM 72nd AVE.
NO SOUTHBOUND ACCESS TO BURNSVIEW SCHOOL PERMITTED. Large Floats- will assemble along the north bound lane of 112th St. This will be accessible ONLY from 72nd Avenue northbound on to 112th St.
Other vehicles and parade participants- will assemble in the Burnsview parking lot areas. Northbound traffic from 72nd Avenue will be closed to vehicles on 112th, due to float assembly. You are able to park your vehicle onsite; however there will be no in/out privileges. Once you are parked, your vehicle must remain there until the parade is over. Drop-offs, Walkers, Float Preparation Teams and Temporary Parking- Use Chalmers School entrance located at 113th Street and 75th Avenue.. There will be traffic controllers on-site and they will strictly enforce the above noted restrictions, so please plan ahead and come prepared. In addition to this, note that traffic along 112th Street will be single-lane southbound only between 73A Avenue and Bridlington Drive. There will be no northbound vehicles permitted through. The parade will be assembled in the parking lot of Burnsview Secondary School.which is located at 7658 - 112th Street, North Delta. The parade will start at 11:00am. However, the parking lot will be open from 8:00am for float preparation. For your entry to be considered in the judging the entry should be registered and in the assigned place by 9:30am. The exception will be the bands. They are to be in place by 11:00am. The route will be north on 112th Street to 84th Avenue, then east on 84th Avenue to 114th Street. Draw tickets may be passed out during the parade, but NO commercial flyers are to be handed out. No candy or treats are to be thrown from any vehicle to spectators. Please have your walkers accompanying your entry hand out candy or treats away from your vehicle. Try to stay close to the group in front. Gaps in the parade spoil it for all. Judging of parade entries will commence at 9:30 AM. To be included in the judging for trophies and ribbons, entries must be registered and in their place by 9:30 AM. Bands are the exception. they must be in place by 11:00 AM. Children's decorated entries will be judged at 9:30 AM. Children may go in the parade with their decorated entries, but MUST have an adult with them. Disassembly should take place by turning right on 114th Street or continuing up 84th Avenue to 116th Street. 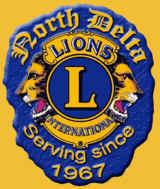 Only groups who have made prior arrangements may go into North Delta Community Park.